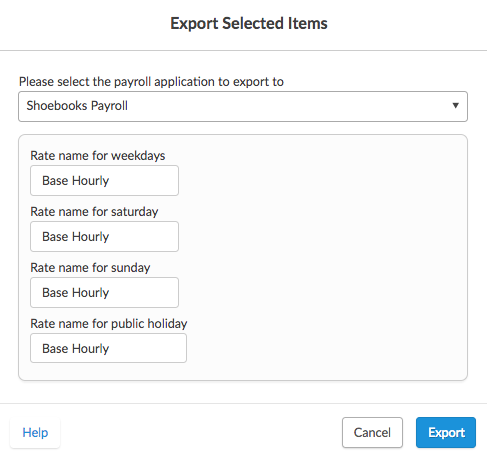 This guide shows you how to export your timesheets for upload for Shoebooks Payroll. In the payroll application drop-down list, select 'Shoebooks Payroll'. The file should look similar to the image below and is used to upload to Shoebooks to complete your payroll process.